I’ve written earlier how open data availability could promote public transportation. Openly available public transport schedule and route information would enable small businesses and other innovators to build new kinds of consumer route planning services. These new services in turn would help to make it easier to leave the car home and choose more sustainable transport options. Again however the actual data for such route planning is behind closed doors and available only via a web interface. 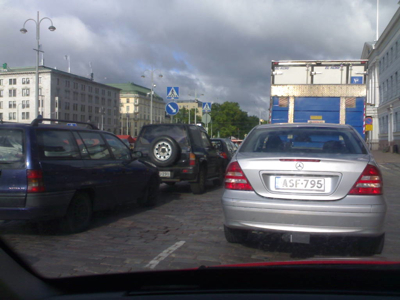 And since most GPS navigator producers are only interested in the car navigation market it is unlikely that someone will make bicycle-friendly options of them. 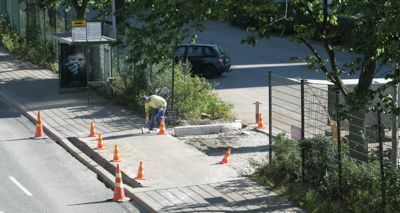 This is something where the OpenStreetMap project can come to help. 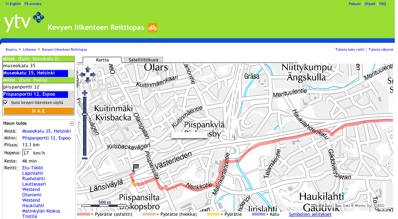 OpenStreetMap is volunteer-built open digital map that is already quite good for Helsinki, and which can contain bicycle related data and be used for rendering bike-friendly views. The data can also be used for creating custom navigation applications. 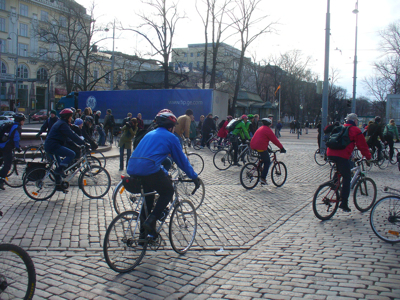 It would be great if more people from the Helsinki cycle commuting area would join the OSM project and start contributing map data relevant for bicyclists! Note: the photos are CC-licensed images from Flickr users ekurvine and samipii.